Contains mission statement, board chair and president's message, program information, grants list, financial statements, and lists of board members and staff. 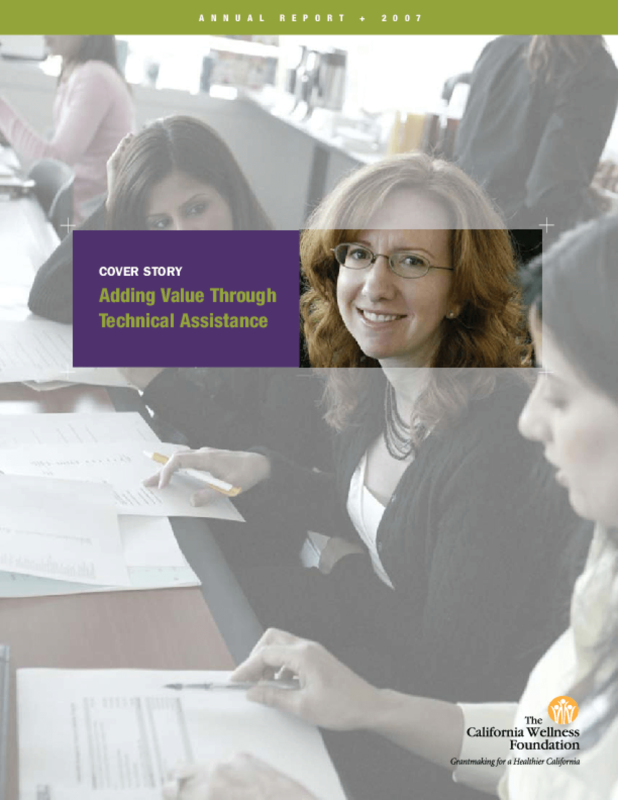 Includes an essay on adding value through technical assistance. Copyright 2008 California Wellness Foundation.